There are many types of glass that are used in domestic properties for windows, doors, side panels and more. In older properties sometimes the original glass consists of patterns or old fashion colours, which need to be changed to modernise the home. In many cases this older glass is ordinary annealed glass that doesn’t comply with current standards therefore it is in the best interests of the home owner to upgrade the glass in any case. Valiant Glass offer a full glass replacement service where existing glass can be upgraded to provide a fresh new look for your home. Popular during the sixties and seventies were various types of amber glass with different patterns to provide privacy. This type of glass was used in front doors or panels next to front doors to prevent people looking while letting light inside. 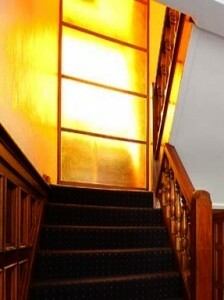 Unfortunately the amber glass transmits a yellowish light throughout the home and also looks quite old fashion now days. There are a few alternatives on the market, now one of the most popular types of glass for this application is white translucent laminated glass. 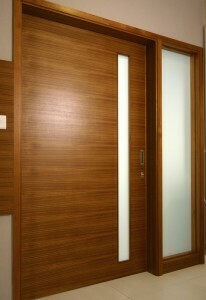 It provides privacy while offering a greenish white appearance and also transmits a fresh bright light into the home. Coloured or patterned glass is usually the prime candidate for upgrade due to their appearance. These types of glass can be found all around homes and in most cases can be easily be changed without any other structural work. Many homes today consist of the original annealed or float glass in areas such as sliding or hinged door and low level glass, which are subject to human impact. 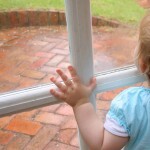 Running children and toddlers that can fall into these types of glass run the risk of suffering severe injuries. 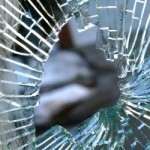 Thankfully there are various safety glass products that can installed in the existing frames that will remove the threat of injuries caused by broken glass. Laminated glass is one such product and as an added bonus it offers 99% UV protection and is available in a wide variety of tints or even performance coated variants. These are only a few examples of changing old glass to more modern alternatives that offer a better visual appeal and safer environment. Glass in bathroom windows, bedrooms, living rooms, garages and sun rooms can all be changed to create a different look and feel to the home. It isn’t necessary to change the frames in most cases therefore changing the glass panels can be a cost effective means of modernising any home.